The Government of Jamaica had developed a National Identification System (NIDS),to provide a 'comprehensive and secure structure to enable the capture and storage of personal identity information for citizens and persons ordinarily resident in Jamaica.' National Identification and Registration Act was enacted in 2017, though not yet brought in force. Julian Jay Robinson ,a Member of Parliament and General Secretary of the People's National Party which forms the opposition in the Jamaican Parliament had approached the Supreme Court challenging the Act. 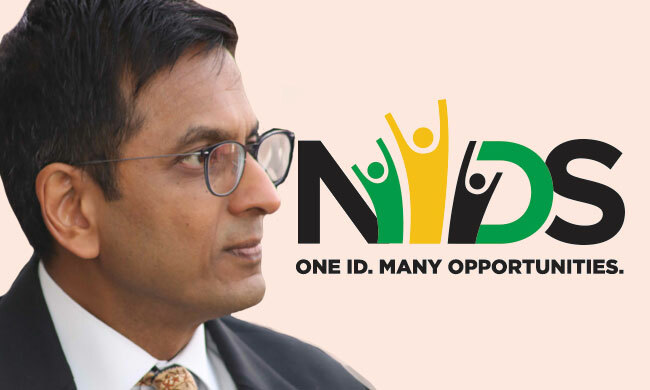 The Full Court comprising Chief Justice Bryan Sykes, Justice David Batts and Justice Lisa Palmer Hamilton, which heard the challenge against an Aadhaar like biometric scheme in Jamaica, wrote separate judgments holding the Act unconstitutional, thereby striking down National Identification System [NIDS]. While the Chief Justice held that the compulsory taking of biographical and biometric data is a violation of privacy rights under the Jamaican Charter, Justice Batts in his concurring opinion observed that with this scheme, 'the danger of a "big brother state" or as the Supreme Court of India called it, a "surveillance state" is real'. Justice Palmer Hamilton, in a brief concurring opinion, observed that unbridled accessibility by public and private sectors is untenable and unconstitutional and would need requisite safeguards in place to ensure that the constitutional rights of the citizens are not violated. "From reading the judgments in this case Dr Chandrachud J, in my respectful view, demonstrated a greater sensitivity to the issues of privacy and freedom that is not as evident in the judgments of the majority or the other judges who delivered concurring judgments. His Lordship had a clear-eyed view of the dangers of a state or anyone having control over one's personal information and generally I preferred his approach to the issue over that of the other judges." "Unlike the majority in Puttaswamy (September 26, 2018) who seemed to have taken a rather benign view of this aspect of the matter Dr Chandrachud J destroyed the notion that merely because similar or identical information is already in the possession of the state that in and of itself makes taking of such information again legitimate. His Lordship clearly understood the implication of collecting biographical information, combining it with biometric then automating the process with supporting algorithms." "What is important to note is that the majority and Dr Chandrachud J proceeded on the premise that oversight of the data controller was necessary. The difference was that the majority thought that the existing structure was sufficient and Dr Chandrachud J thought that it was not. While respecting and understanding the view of the majority I prefer Dr Chandrachud J on this aspect. "